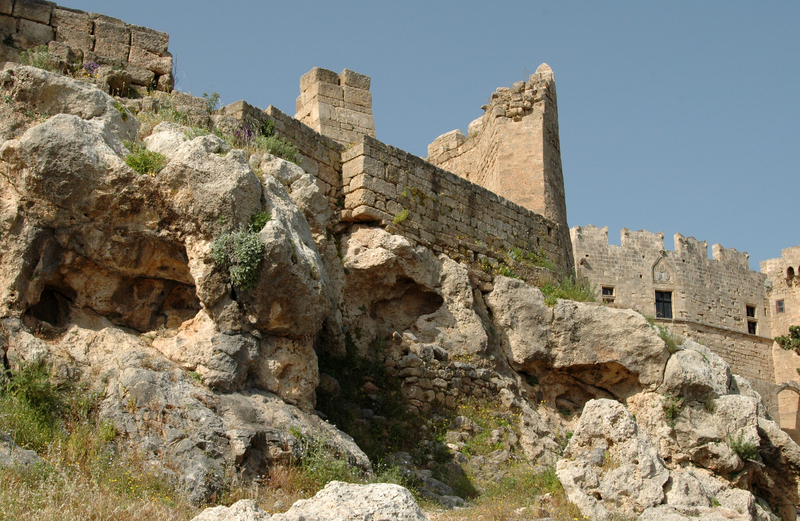 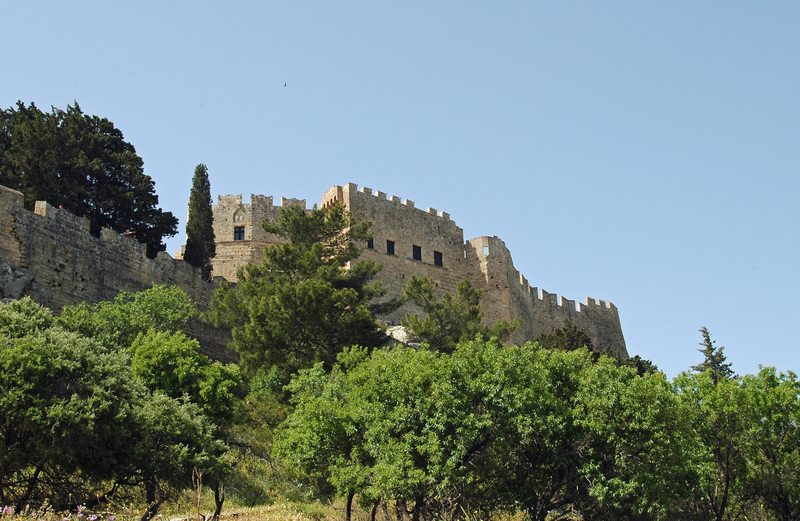 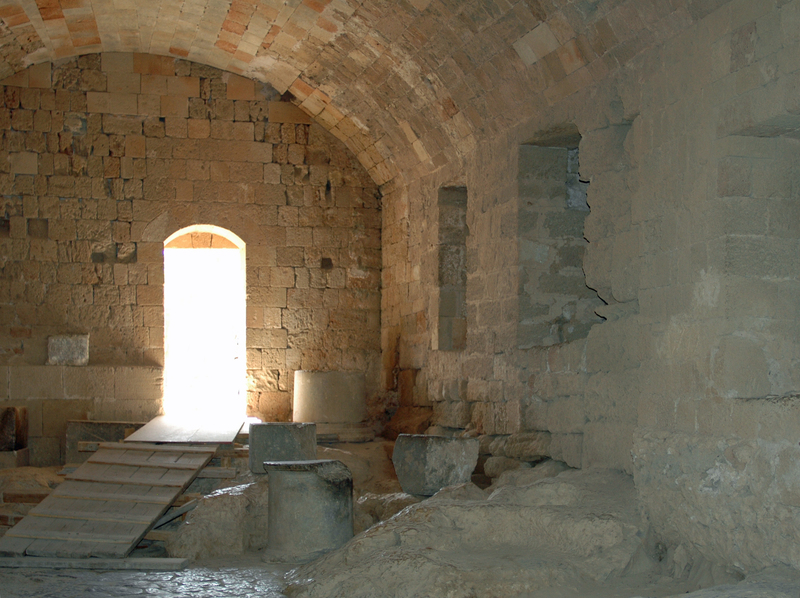 In the Byzantine era, a castle was built to defend the village. 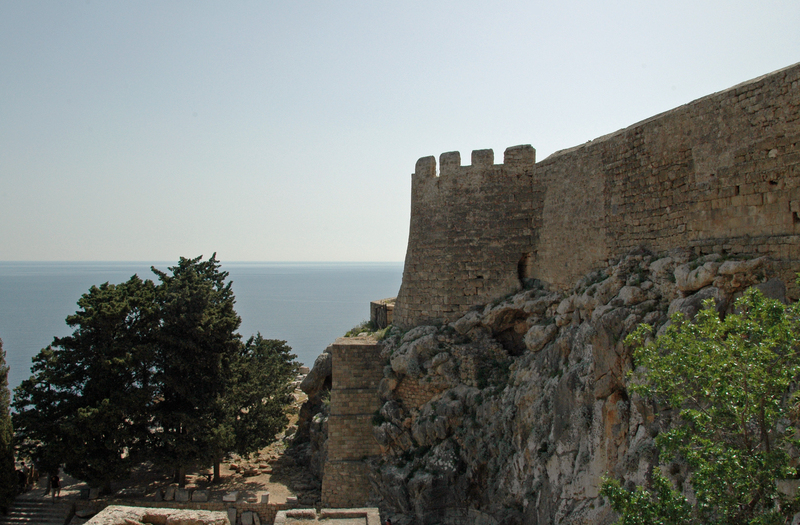 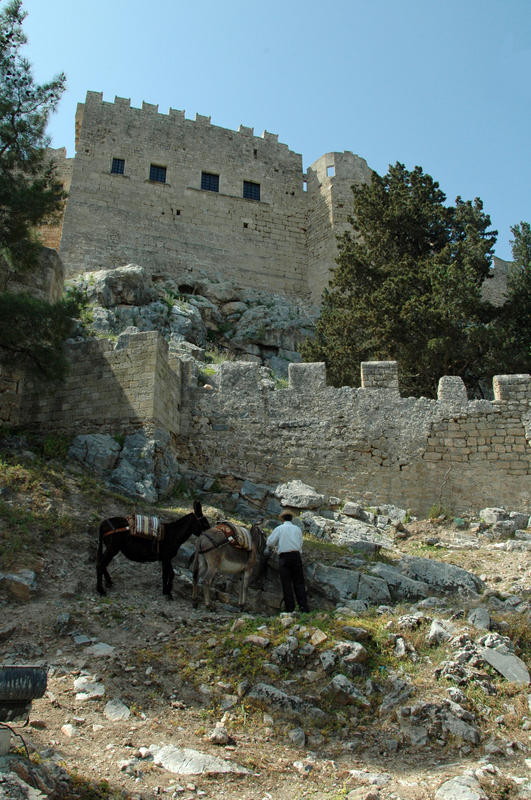 The Byzantine castle was restored and strengthened in 1317 by the Knights of St. John. 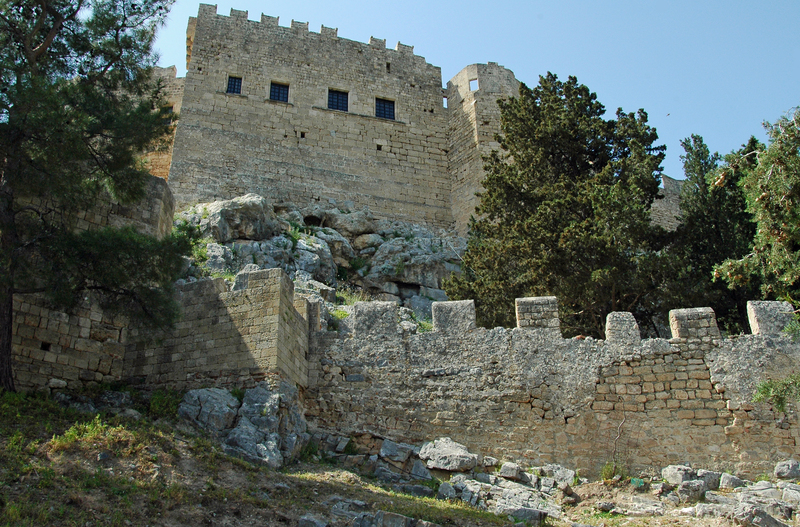 Except for some parts of the Byzantine fortification, nothing remains of the period preceding the reconstruction where the Knights brought many changes and improvements. 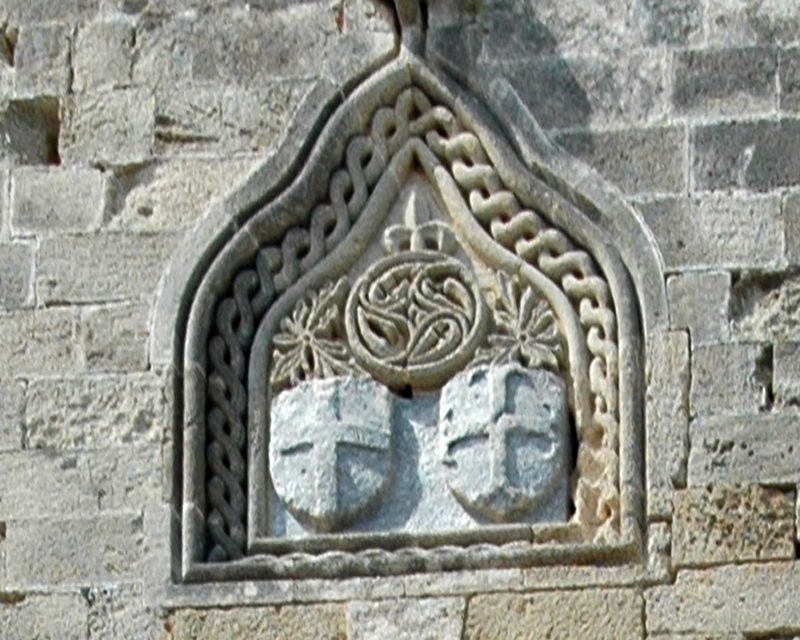 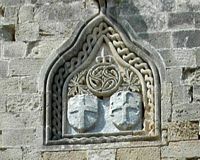 The coat of arms of French knights still adorn the walls. 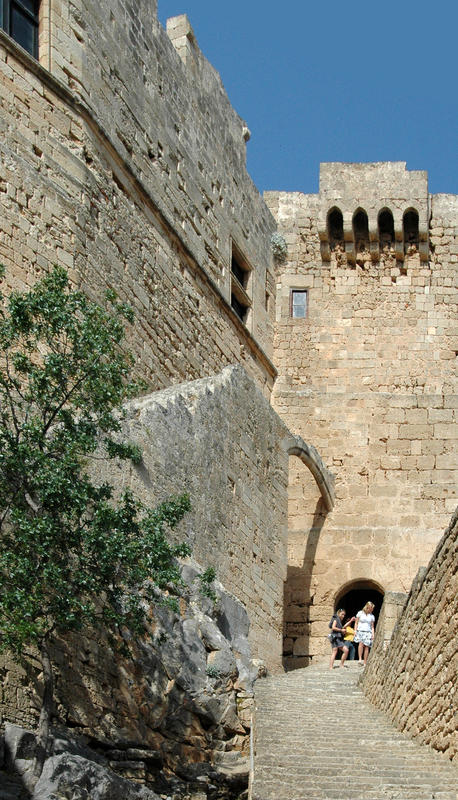 A long staircase, along the Governor’s Palace to the left, rises in the gate surmounted by a gatehouse (stall with battlements). 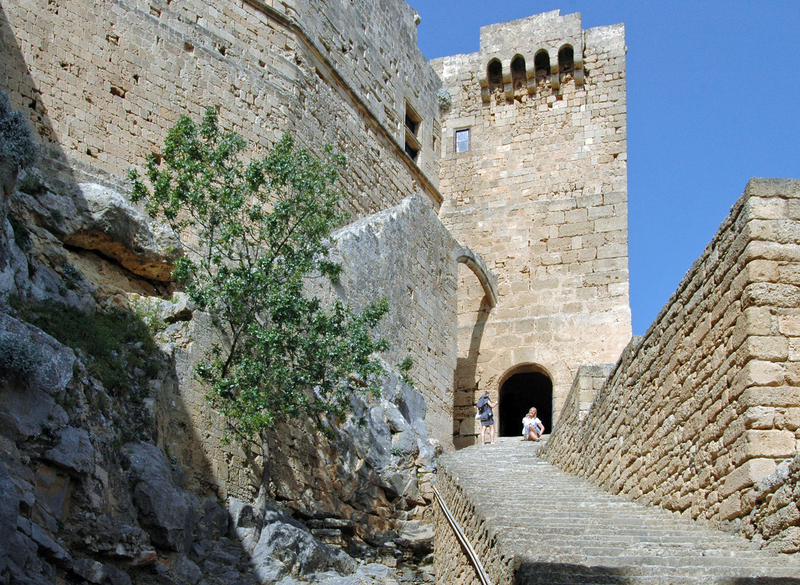 This monumental staircase leading to the citadel gives immediately right, access to the ruins of the palace of the Commander. 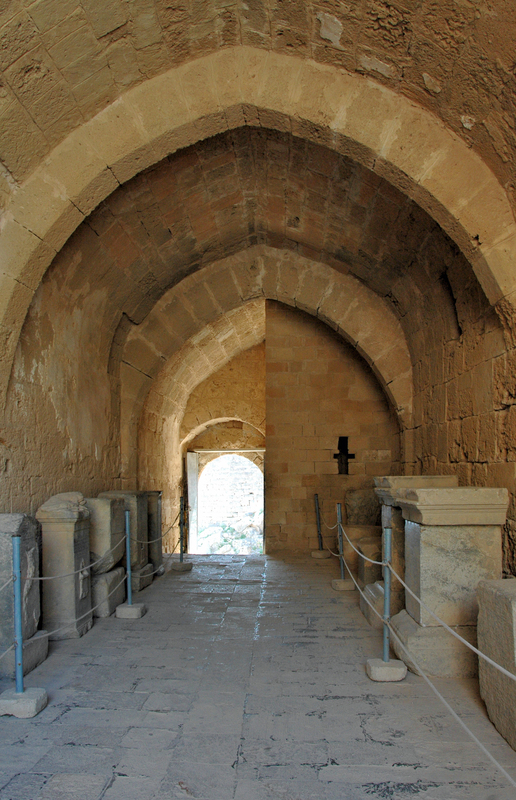 Follows an archway leading to the right of the old Gothic palace of the Governor, near the chapel St. John. 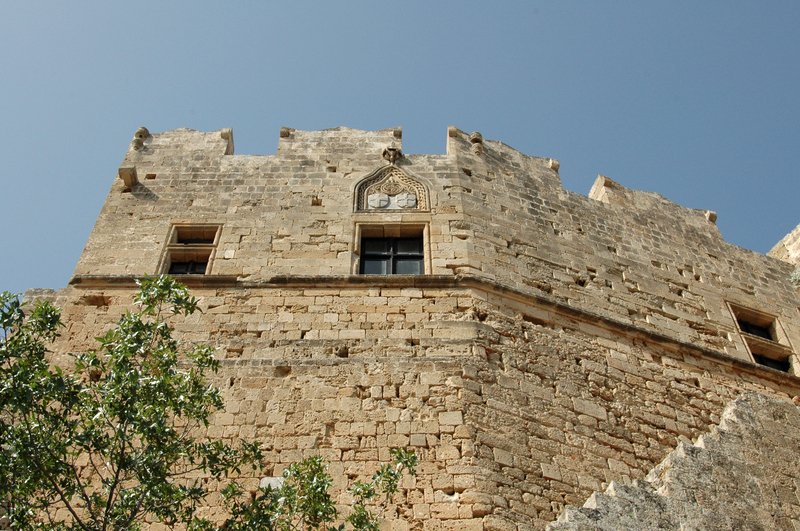 Towers of the palace of the Governor, it remains today a tower at the south-west and west. 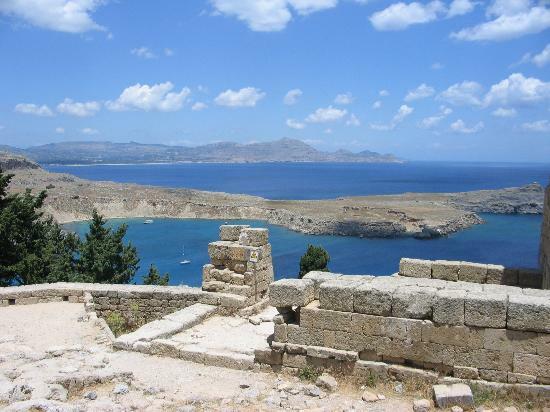 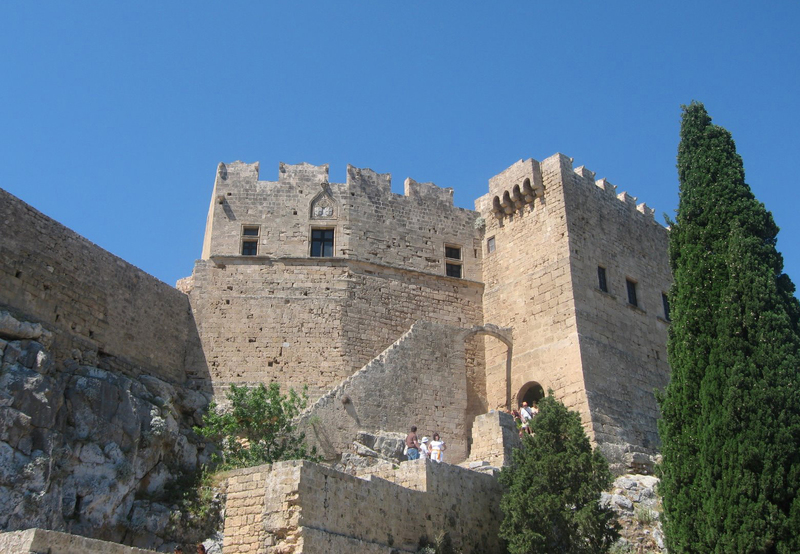 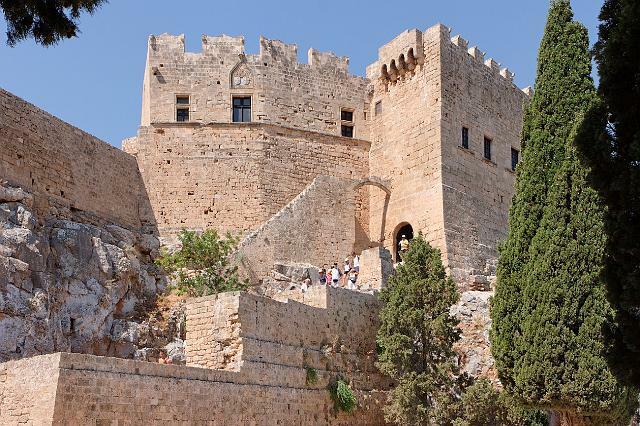 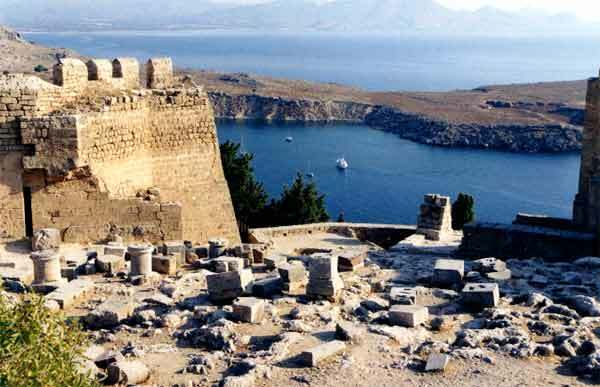 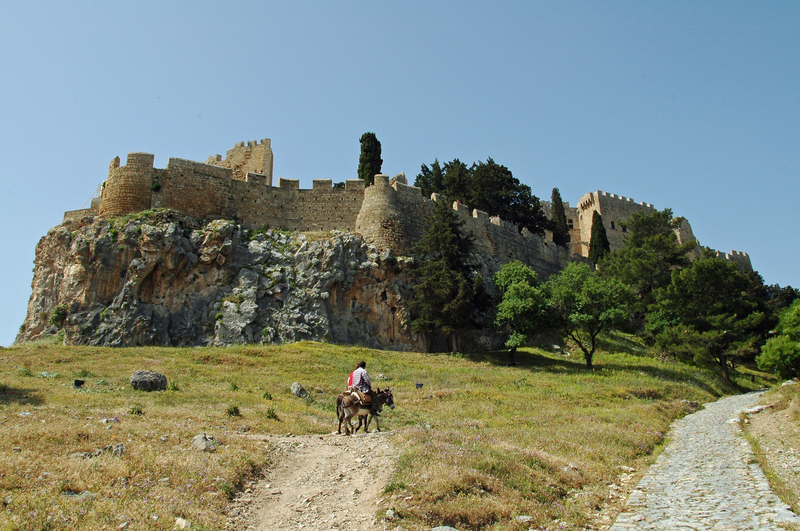 The walls surrounding the acropolis of Lindos was also built by the Knights of Rhodes in the thirteenth century. 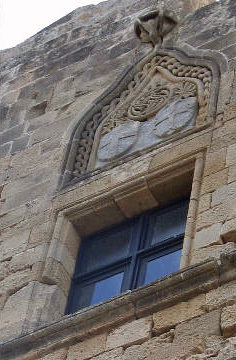 In 1317, Grand Master Fulk de Villaret took refuge there after the Knights were filed because of his dissolute life. 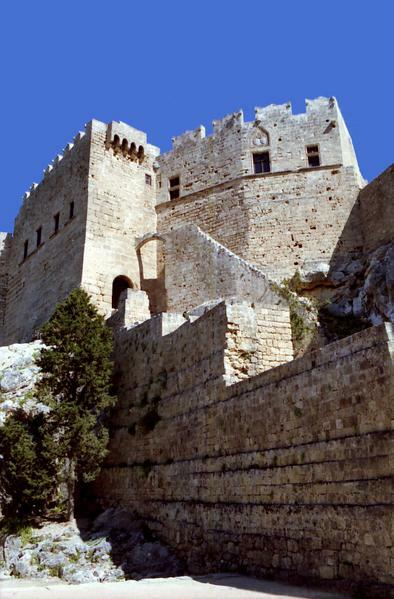 The citadel was begun under the Grand Master Fluvian and completed under Pierre d’Aubusson . 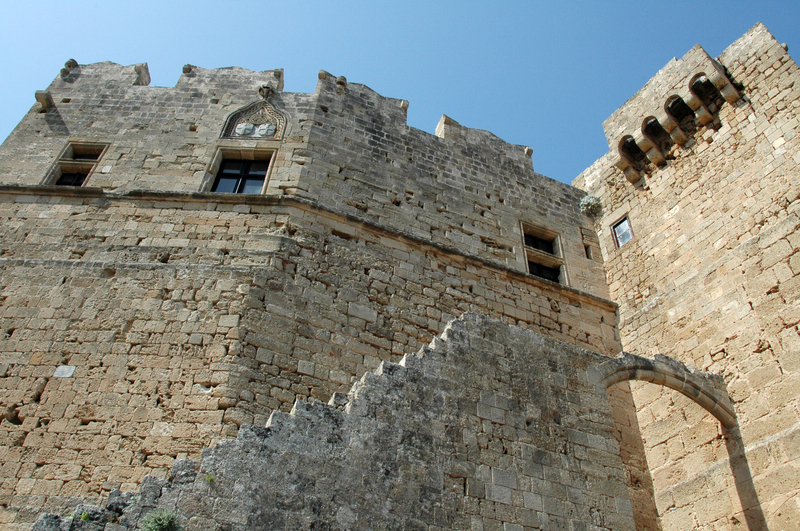 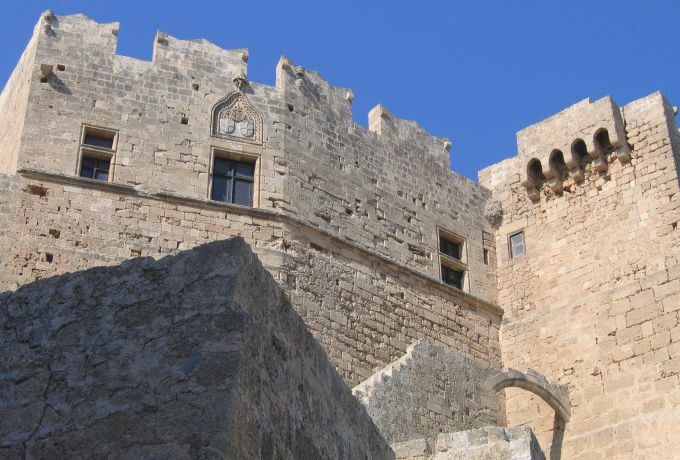 As the city of Rhodes , the castle went to Soliman in 1522. 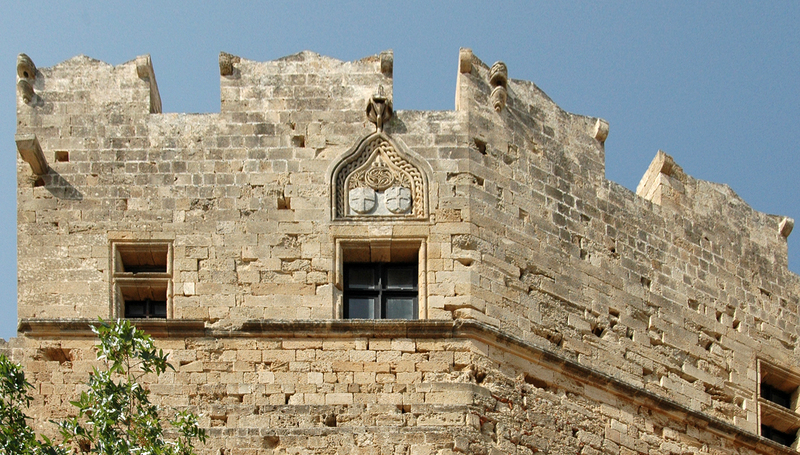 It is December 30, 1522 that the occupants of the castle went to the Turks . 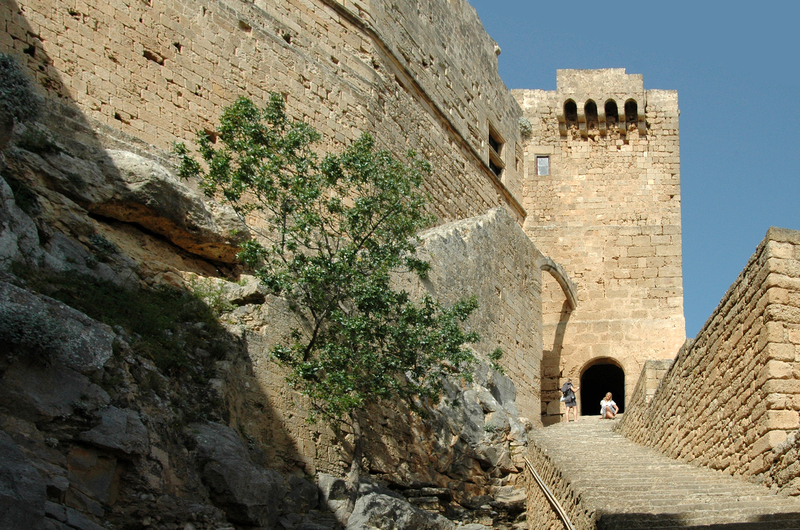 During the sixteenth and seventeenth century the use of guns has made ​​the construction of the three bastions around the castle. 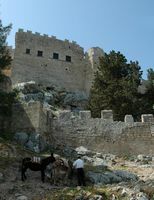 A small Turkish garrison occupying the castle until 1844, has carried out some minor work of a military nature. 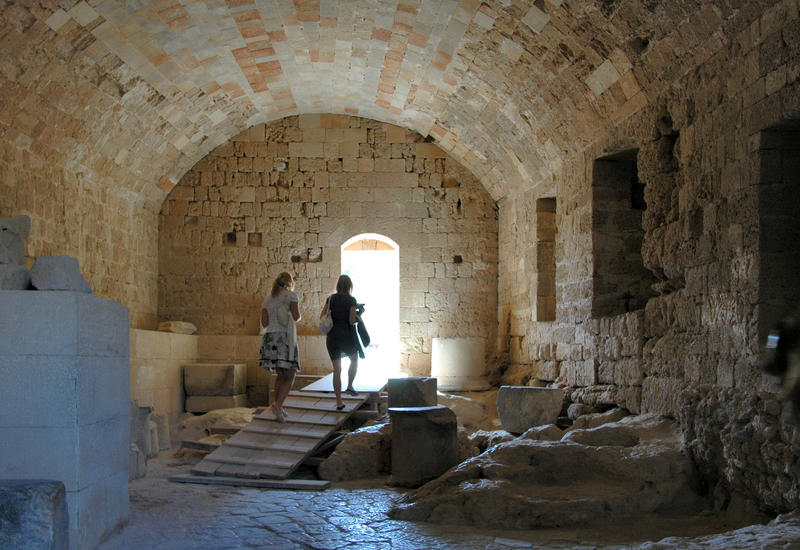 Currently it consists of two buildings (three at the origin) and has been renovated by the Danish archaeological mission to serve as a museum and then by the Italians. 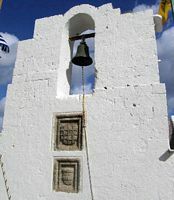 The Byzantine church of Panagia (Virgin) dates from the fifteenth century, it is a church dome type cruciform floor it has a black and white stones, and it is decorated with frescoes of the eighteenth century (1779) the painter Gregorios of Symi. 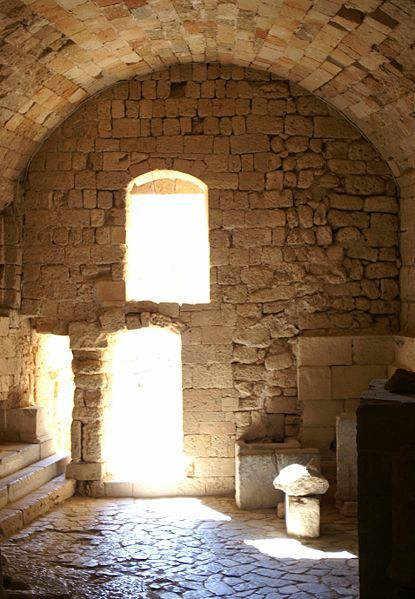 It was restored in 1489 by Grand Master Pierre d’Aubusson, who added a vestibule. 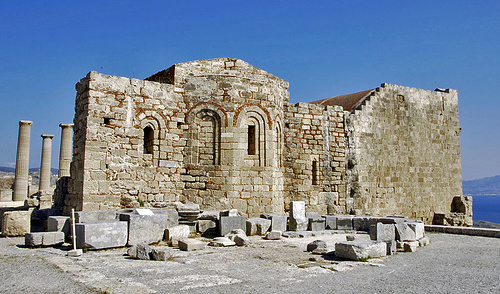 The Church of the Panagia is in the lower part of the acropolis.